"Don't Look Down", a brand new song from the British deathcore act BRING ME THE HORIZON, can be streamed using the SoundCloud widget below. The track, which features a guest appearance from rapper Orifice Vulgatron of FOREIGN BEGGARS, is taken from an upcoming re-scoring of the soundtrack for the film "Drive". Addressing the inclusion of rapping and dubstep elements in the song, BRING ME THE HORIZON: "We appreciate the level of passion both good and bad for 'Don't Look Down'. "We are really proud of what we created, but at the same time, we understand people's confusion and panic after hearing the track. "We were approached by [BBC] Radio One to score a piece of music for a rescore of the movie 'Drive'. Now if you've seen 'Drive', I'm sure you will agree neither anything from our previous albums, nor 'Drown', would [have] fit very well with the vibe of that particular movie, so we decided to create a piece of music that did justice to the amazing scene we was given. "We took the opportunity to make something completely different, to do something completely different, something that we wouldn’t usually do — although I feel that doesn't really make sense anymore, because we never do the same thing [twice]. We experiment, we change it up, We take risks because we don’t want to stay the same and we want to breathe life into this lacklustre genre, and we want to keep you guessing what's coming next. "Big up Orifice Vulgatron of FOREIGN BEGGARS for collaborating on the track. "The movie is an amazing project, and we think we smashed our part, and hope you guys feel the same once you've seen it." 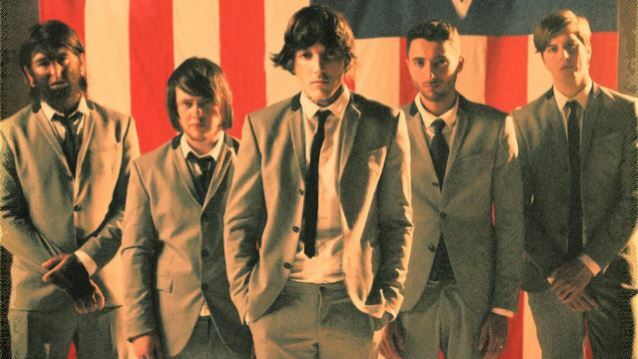 A new BRING ME THE HORIZON album is tentatively due to be recorded early next year for a late 2015 release. BRING ME THE HORIZON's fourth CD, "Sempiternal", has sold 220,000 copies in the United States since its April 2013 release. The album's opening track, "Can You Feel My Heart", has sold over 100,000 singles and garnered more than 5.3 million video views. In July, BRING ME THE HORIZON took home Alternative Press' awards for "Album Of The Year" and "Best International Band". BRING ME THE HORIZON frontman Oli Sykes recently revealed that he was "addicted to a drug called ketamine" prior to the making of "Sempiternal".